Actinogen Medical is an ASX-listed Australian biotech developing its lead asset Xanamem, a specific 11β-HSD1 inhibitor designed to treat cognitive impairment that occurs in chronic neurodegenerative and metabolic diseases. Primary indication is cognitive impairment in mild AD patients and results from the ongoing Phase II XanADu trial are expected to be announced Q219. Actinogen Medical is an ASX-listed Australian biotech developing its lead asset Xanamem to treat cognitive impairment that occurs in chronic neurodegenerative diseases. Xanamem® is a selective 11β-HSD1 inhibitor that is able to cross the blood-brain barrier and target excess brain cortisol, which has been associated with cognitive impairment in Alzheimer's disease (AD). The ongoing Phase II XanADu trial is fully enrolled with mild AD patients, who receive Xanamem in conjunction with standard of care. The results are due by end-Q219 and will shape further development of Xanamem. Our valuation is A$195m or A$0.17/share. Note: *Revenues include tax rebates and financial interest (local GAAP). **PBT and EPS are normalised, excluding amortisation of acquired intangibles and exceptional items. Although still a novel concept, multiple studies have linked excess cortisol with its detrimental effects on cognition, which is evident in neurodegenerative diseases such as AD. The enzyme 11β-hydroxysteroid dehydrogenase 1 (11β-HSD1) converts cortisone to cortisol inside cells and regulates corticosteroid concentrations that are key in the pathogenesis of a range of human diseases. Xanamem was designed to be brain penetrant to target the 11β-HSD1 isoform, which is the only form of the enzyme present in the brain. Brain-specific 11β-HSD1 inhibition is the only known viable pharmacological approach for intracellular excess cortisol modulation that does not disturb systemic cortisol levels. The cortisol hypothesis suggests that excess cortisol in the brain aggravates the cognitive impairment in AD, and reducing excess cortisol could slow or even prevent the cognitive impairment in AD patients. The ongoing Phase II XanADu trial is the most advanced study testing this idea and the results are expected in Q219. Unmet need in AD is vast and the size of the market has attracted interest from almost every player in CNS drug R&D over the past 30 years with very limited success so far. With so many late-stage failures involving antibodies aimed at misfolded proteins (amyloid beta, tau), we believe, that ‘non-mainstream’ technologies, like Xanamem, may attract renewed interest from potential partners. Actinogen, listed on ASX and headquartered in Sydney, Australia, is a biotechnology company with a focus on its lead product Xanamem, a novel cognitive enhancer. Cognition impairment in AD patients is the primary indication in the R&D programme at present, however, based on the known mechanism of action, from Actinogen and third-party data, Xanamem has the potential to be used in multiple conditions, where glucocorticoid metabolism is linked to impaired cognition. This includes depression, diabetes, schizophrenia, Parkinson’s disease, Down’s syndrome and others. The groundwork underpinning the cortisol hypothesis and Xanamem’s discovery was achieved at the University of Edinburgh, UK, in the 1990s and 2000s. In 2014, Actinogen acquired Corticrine, which had a licence to the technology IP that included Xanamem from the University of Edinburgh. 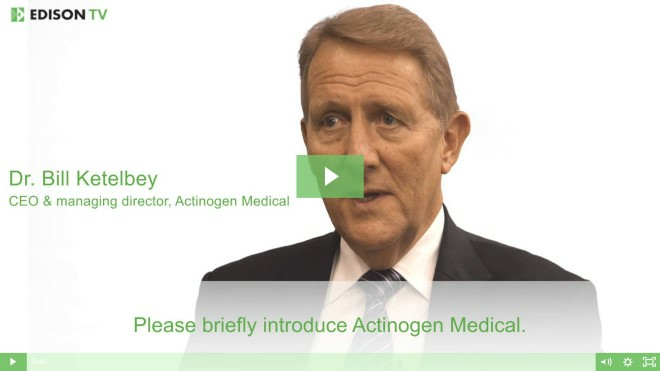 Actinogen Medical was listed on ASX in October 2007 and its original plan was to develop new generation antibiotics. However, these activities were discontinued after the licensing of Xanamem in 2014, which is now their lead development drug. Of note, CEO Bill Ketelbey, who joined Actinogen in 2014, has highly relevant drug development experience and, as a former executive at Pfizer, led the local clinical development and was involved in the commercialisation of Aricept (donepezil), the best-selling AD drug. Our valuation, which uses a discount rate of 12.5%, only includes Xanamem in AD. We currently do not value any additional opportunities, but will revisit once Actinogen initiates the development of other potential indications. We use a probability of success of 20% for Xanamem to successfully complete the R&D. A key element of our valuation is the base case scenario that Xanamem will show some benefit compared to existing symptomatic AD drugs. We developed assumptions that reflect this and calculate peak sales of US$2.0bn. If Xanamem demonstrates disease-modifying benefit, the peak potential would likely be a multiple of our current peak sales. If Xanamem’s efficacy proves comparable to current generics, the drug could still have substantial potential with significant sales, as was the case with all current symptomatic AD drugs. Our assumptions are discussed in detail below. 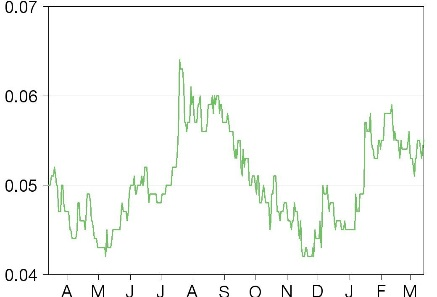 The fiscal H119 R&D expense of A$6.3m was the most significant cost item, up from US$3.0m a year ago, indicating that XanADu is in full swing, with a series of additional Xanamem studies in the second half of calendar year 2019 (Exhibit 3). We forecast an FY19 total loss of A$10.5m, up from A$6.2m in FY18. FY20 and FY21 results will substantially depend on the next steps after the XanADu trial results. Actinogen had cash of A$15.5m at the end of fiscal H119 (end of calendar 2018). This is sufficient to finish the XanADu study, to initiate and complete a series of additional studies, and to prepare for Phase III trials. Additional funding needs will depend on the timing and nature of a potential licensing deal and the scale of the next trials. The main sensitivities are around the lead candidate, Xanamem. Although it has shown efficacy in animal models and proved safe in the Phase I/II trials, it remains to be seen whether this will translate into a clinical benefit. The data from the upcoming Phase II XanADu study will shape further development of the drug. Drug development is inherently risky and could fail at any stage. If the XanADu trial results warrant further development, this could include a variety of scenarios from second line to front line, in mild or even prodromal AD patients, as a symptomatic and potentially disease modifying drug, but these scenarios are all dependent on the data readout in Q219. Late-stage drug development is capital intensive, therefore fresh funds or a partner will be needed. Xanamem is an 11β-HSD1 inhibitor designed to reduce excessive cortisol production in the brain. An abundance of accumulated literature and existing Xanamem data point to the conclusion that excessive cortisol is associated with cognitive impairment in patients with various chronic conditions, but most evidently in neurodegenerative diseases. Currently, the main indication under development for Xanamem is AD (XanADu trial enrolled mild AD patients). The Xanamem mechanism of action is unique within the AD drug development field. The field is predominantly focused on the development of antibodies targeting misfolded proteins (Abeta, tau), which are relevant to the so-called Abeta hypothesis of AD. 11β-HSD’s role in cortisol metabolism was discovered 1950s and in later years two distinct isoforms, 11β-HSD1 and 11β-HSD2, were characterised (Chapman et al, 2013). The origins of the Xanamem compound discovery date back to 1990s and early 2000s, with research undertaken by a team of scientists at the University of Edinburgh, who explored the effect of cortisol on cognition and possible pharmacological interventions. The initial promising results in preclinical and early clinical trials were demonstrated with carbenoxolone, a non-specific 11β-HSD inhibitor. Only 11β-HSD1 is expressed in the brain, so to improve the safety profile, researchers at the University of Edinburgh developed Xanamem, a specific 11β-HSD1 inhibitor that crosses the blood-brain barrier. This research and optimisation by the inventors was supported by the Wellcome Trust with a total investment of c $25m. Clinical development of Xanamem started in 2013 and was continued by Actinogen after it acquired the assets, including Xanamem, in 2014. The Phase II XanADu trial in mild AD commenced in March 2017 and Actinogen is expected to report results by end-Q219. The number of people living with dementia worldwide is currently estimated at around 50 million, with approximately 60% of whom have AD. Given the lack of a preventative or curative treatments, this number is set to almost double by 2030 and more than triple by 2050 (World Alzheimer Report 2018). In 2018, the direct costs to American society of caring for those with AD and other dementias totalled an estimated US$277bn, which is expected to increase to with approximately US$1.1trn by 2050 (2018 Alzheimer’s Disease Facts and Figures). Despite this unmet need, no new drugs have been approved by the FDA for AD since 2003 and the existing four drugs (cholinesterase inhibitors: donepezil, rivastigmine, galantamine and a NMDA receptor blocker: memantine) provide only symptomatic benefit, which is not sustained over the long term and does not influence patient survival. The lack of disease-modifying therapies leaves a vast unmet clinical need. Drug development for AD has become a major political, academic and industrial effort, as evidenced by initiatives such as the Global Dementia Discovery Fund and the big pharma collaborations between Biogen and Eisai, AstraZeneca and Eli Lilly. This illustrates the scope and willingness of the industry to support the development of novel treatments in AD. However, the length and expense of clinical trials, with numerous failures to date, underline the risks associated with the field. While the risks cannot be eliminated, we believe that greater understanding of the pathophysiological mechanisms of the disease process spurred on by the substantial unmet medical need, will maintain the interest in the area. There is a notion reiterated by executives in the industry that current late-stage clinical trials in AD, especially those involving antibodies against amyloid, are ‘based on 1990s science’. We believe that focusing on the Abeta theory, which was perceived by the industry as the best bet to develop a disease modifying therapy, meant that other technologies targeting AD were marginalised and did not break into large pharma’s mainstream interest. Some of these ‘low profile’ technologies slowly progressed into more advanced clinical testing, but we believe that these programmes still suffer from a general lack of enthusiasm from investors who recall recent high-profile failures for drugs targeting the Abeta hypothesis of AD. While this likely translates into lower company valuations relative to other disease areas where there are more success stories, it also means that if any of these ‘undiscovered’ molecules delivered positive results, the unlocked share price upside would likely be amplified. Cortisol, also known the ‘stress hormone’, is a steroid hormone (glucocorticoid), tightly regulated via feedback loops connecting the hypothalamus, pituitary and adrenal glands. This is also known as hypothalamic pituitary adrenal (HPA) axis. Most cells in the body have cortisol receptors, so this hormone has profound effects on the body’s metabolism. For example, as a part of the response to stress, cortisol is a powerful inflammation suppressor, making glucocorticoid anti-inflammatory drugs became popular in many autoimmune diseases. Classical understanding about chronically elevated cortisol is that it is associated with a variety of conditions characterised by various metabolic disturbances. One of the best-recognised syndromes resulting from chronically elevated cortisol is Cushing’s syndrome, the main symptoms being central obesity, dyslipidaemia, hypertension and glucose dysregulation.1 While not a hallmark symptom, neuropsychiatric problems also occur in patients with Cushing’s syndrome, particularly in memory impairment. This sparked interest in exploring the effects on cognition of excessive cortisol exposure in key areas of the brain. S. P. Webster et al. Selection and early clinical evaluation of the brain-penetrant 11β-hydroxysteroid dehydrogenase type 1 (11β-HSD1) inhibitor UE2343 (Xanamem). British Journal of Pharmacology (2017) 174 396–408. K. Sooy et al. Cognitive and Disease-Modifying Effects of 11β-Hydroxysteroid Dehydrogenase Type 1 Inhibition in Male Tg2576 Mice, a Model of Alzheimer’s Disease. Endocrinology, December 2015, 156(12):4592–4603. More targeted exploration of the role of elevated plasma cortisol and its effect on brain in neurodegenerative diseases was also conducted. Specifically in AD, elevated plasma cortisol was associated with accelerated disease progression, while high cortisol level in cerebrospinal fluid was associated with more rapid worsening of patients with mild AD (Cernansky et al, 2006; Popp et al, 2015). Animal models showed that if mice are treated with glucocorticoids, this leads to increased amyloid beta formation, reduced degradation and increased tau expression in the brain (Green et al, 2006). In January 2017, the Australian Imaging, Biomarker & Lifestyle (AIBL) study (R H Pietrzak et al, 2016) was published. The 6-year multicentre prospective cohort study evaluated the relationship between Abeta, plasma cortisol and cognitive impairment in 416 normal older adults. One of the findings was that those subjects with a higher plasma cortisol had a much greater chance of developing AD. Another major study (J B Echouffo-Tcheugui et al, 2018) was published in October 2018 in Neurology, the leading peer-reviewed neurology journal. The data for this analysis came from the famous Framingham Heart Study, which is a large study following the health of residents of Framingham, Massachusetts, and their families since 1948. In this particular publication, the authors evaluated a group of more than 2000 men and women with an average age of 48 with no sign of dementia. MRI brain scans, psychological evaluation of cognition and blood chemistry, including cortisol levels, were performed at the beginning of the study and after eight years. The conclusion was that participants with the highest levels of serum cortisol had the highest levels of impaired memory and that that people with higher cortisol levels had lower brain volumes. Historically specific 11β-HSD1 inhibitors were first researched in various conditions closely related to diabetes and the metabolic syndrome. But growing understanding about cortisol-cognition relationship prompted researchers to look for a feasible pharmacological intervention aimed at reducing the excess cortisol in conditions where impaired cognition is a prevailing symptom, in particular AD. Direct manipulation of the HPA axis in AD is unlikely to be suitable for AD patients, as it would likely compromise the stress response in the long term. Glucocorticoid action on its intracellular receptors is determined not only by circulating steroid levels, but also by target tissue concentrations. The latter is regulated by 11β-hydroxysteroid dehydrogenase, which in effect ‘gates’ access of these steroids to their nuclear receptors2,3. 11β-HSD1 is present predominantly in the liver, adipose tissue and brain and converts inactive cortisone to cortisol, while 11β-HSD2 is expressed mainly in the kidneys and catalyses the reverse reaction3. Therefore, tissue-specific modulation of intracellular cortisol in relevant brain areas (including the hippocampus and frontal lobes) can be achieved by inhibiting the 11β-HSD1 enzyme without adversely affecting the normal regulation of circulating cortisol. S. Webster et al. Discovery and biological evaluation of adamantly amide 11b-HSD1 inhibitors. Bioorganic & Medicinal Chemistry Letters 17 (2007) 2838–2843. The researchers at the University of Edinburgh showed that in aged rodents the genetic knockout of 11β-HSD1 or its pharmacological inhibition improved memory1. In the first clinical trials this concept was tested using carbenoxolone, which was known to be a non-specific 11β-HSD inhibitor potently inhibiting both 11β-HSD types. Sandeep et al (2004) showed that in healthy volunteer studies (elderly men and patients with type 2 diabetes) treatment with carbenoxolone led to improved memory. More specifically, in two randomized, double-blind studies, administration of carbenoxolone improved verbal fluency (p=0.006) after 4 weeks in 10 healthy elderly men and improved verbal memory (P=0.005) after 6 weeks in 12 patients with type 2 diabetes. We note that such an effect was achieved after a relatively short treatment period and that patients in the XanADu trial are treated for only 12 weeks. It is interesting to note that the non-specific 11β-HSD inhibitor carbenoxolone is derived from the liquorice plant, which is native to the Middle East, southern Europe and parts of Asia, such as India. In traditional medicine, liquorice has been used in senile dementia and to treat inflammation, among other conditions. According to one published literature survey covering traditional Chinese medicine formulae published over the past 10 centuries, liquorice was in the top 5 herbs used for senile dementia. Following these early insights the University of Edinburgh team’s efforts were focused on the discovery and optimisations of a specific, brain penetrant 11β-HSD1 inhibitor. This work was supported by the Wellcome Trust investments. An animal study using Tg2576 mice (AD model) showed that inhibition of 11β-HSD1 with a Xanamem analog led to improved memory and a reduction in amyloid beta plaques after a relatively short 28-day treatment period. The cognitive improvement effect was sustained out to 13 months2. Authors of that study highlighted the disease modifying effect potential of the compound in this model. After the optimisation stage Xanamem (formerly UE2343), was tested in a Single Ascending Dose Phase I study (n=48). The original team of Edinburgh researchers, Professors Jonathan Seckl and Brian Walker, and Scott Webster co-founded a company called Corticrine, which in-licensed the rights to Xanamem from the University of Edinburgh. In December 2014, Actinogen acquired Corticrine and continued the development with a number of studies, including a Multiple Ascending Dose Phase I study. No safety issues were detected in the Phase I. As part of this programme Actinogen also assessed Xanamem’s bioavailability while administering with or without food (no effect). Actinogen also confirmed that Xanamem penetrates the blood-brain barrier and achieves adequate concentration levels in a PK sub-study1. This is a critical element of the investment case, in our view. AbbVie has tried to develop an 11β-HSD1 inhibitor for AD in the past, but this drug failed to demonstrate efficacy in a Phase II trial. Subsequent analysis clearly showed that it crossed blood-brain barrier very poorly (more details on page 13). We interpret this as large pharma recognizing the potential of the approach, but not having the right compound. The Phase II XanADu trial in mild AD commenced in March 2017. It is a double blind, placebo-controlled Phase II trial, which is now fully recruited (n=186) with mild AD patients, who received 10mg of Xanamem daily or placebo (1:1) for 12 weeks. The study is being conducted in 25 sites in the US, the UK and Australia, which is particularly beneficial for Phase II proof-of-concept AD studies, in our view, as this eliminates unwanted confounding factors, such as language and cultural differences. In addition, high-quality data can be expected to be generated in these locations. In late stage trials, a more diverse patient population will be needed to more closely replicate the real-world setting. Two independent Data Safety Monitoring Board (DSMB) reviews of unblinded safety data have been conducted on XanADu with no safety issues raised. The XanADu results are expected in Q219 and will be critical, along with data from a series of additional ongoing studies (Exhibit 3), for Actinogen and they will define the way forward for further development and commercialisation of Xanamem. Source: Actinogen, clinicaltrials.gov. Note: ADAS-cog = Alzheimer's Disease Assessment Scale-Cognition; ADCOMS – AD Composite Score; RAVLT – Rey Auditory Verbal Learning Test; CDR-SOB – Clinical Dementia Rating Scale - Sum of Boxes; MMSE – Mini-Mental Status Examination; NPI – Neuropsychiatric Inventory; NTB – Neuropsychological Test Batteries. The endpoints used in the study are designed to measure changes in cognition or a slowing in cognitive impairment, since Actinogen is investigating Xanamem as a cognitive enhancer. ADAS-Cog v14 and ADCOMS are the co-primary endpoints. ADAS-Cog is the most commonly used cognitive assessment test in clinical practice and clinical research, and measures primarily language and memory. It involves word recall, following commands, orientation and executive function among other assessments. The trial would likely be regarded as successful if this endpoint was reached. ADCOMS is a relatively new endpoint when it comes to AD research but is an interesting one. It is not a test that is used in clinical practice (which is commonly quoted as a drawback in AD trials) but was specifically designed by combining the most sensitive domains of the ADAS-Cog, CDR-SOB and MMSE test (all used in practice). ADCOMS was developed because the three underlying tests were developed more than three decades ago, when the main clinical focus was on treating and researching moderate to advanced AD. The emerging consensus is that these tests may lack sensitivity to capture deterioration in mild AD, which is now the primary target population in clinical trials, and XanADu. ADCOMS has been shown to be the most sensitive test to detect mild cognitive impairment and is increasingly being adopted in AD trials (the Biogen/Eisai Phase II BAN2401 study used it). 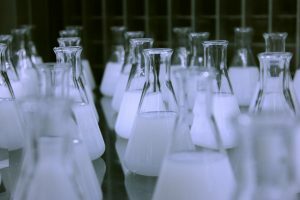 Because of the novelty of this endpoint, there is some hesitation from the industry observers that regulators may question the reliability of it, but, for example, the FDA in its latest guidelines for AD drug development specifically stated that it is encouraging the use of novel endpoints. CDR-SOB – assesses cognitive and functional domains including how much patients take care of themselves. MMSE – directly assesses patient’s cognitive impairment, memory and particularly recent memory. NPI – an assessment done with the caregiver to obtain information on the neuropsychiatric status of the patient. NTB – directly assesses patient’s working memory and executive function. RAVLT – directly assesses patient’s verbal learning and memory (word list recall test). The XanADu trial does not have biomarker endpoints centred on biomarkers, which was Actinogen’s decision based on several factors. There are no known 11β-HSD1 biomarkers. We believe that the absence of these in the XanADu trial is not an issue as Xanamem, as an 11β-HSD1 inhibitor, was designed to prevent the production of excess cortisol and not to directly target Abeta plaques (even though preclinical models suggest effect on plaques as well). In addition, biomarkers can substantially inflate trial costs, therefore for all these reasons biomarker testing was not included in the trial design and for a proof-of-concept Phase II study we see this decision as commercially sensible. When it comes to what would be considered a positive efficacy outcome, we believe there is no single answer. The CDR-SOB test constitutes about half the weighting for the ADCOMS score, while ADAS-Cog and MMSE share the remaining half. Therefore, the most ‘valuable’ endpoints are ADAS-Cog, CDR-SOB, MMSE and ADCOMS, while the others add support and value in particular domains. Failure to meet all endpoints would clearly be negative, while all endpoints met would be a best-case scenario. However, we believe there are many other possible combinations of primary and secondary endpoints that could provide a viable path forward. While elements of the seven endpoints in the XanADu trial overlap, each endpoint measures various unique features of cognition. For example, if one of the co-primary and some of the secondary endpoints are positive, further development would likely continue. The XanADu dataset will be instrumental in understanding what precise target population would be best suited for late-stage development. In addition to that, in the second half of 2018, Actinogen initiated several additional studies with Xanamem. These include target occupancy studies (results expected in Q219), a number of long-term toxicology studies (around end-2019) and a higher dose safety study (XanaHES, Q219). These are complementary to the XanADu trial in several different ways. For example, target occupancy data will improve the Xanamem data package, while results from the higher dose and long-term toxicology studies will be useful for chronic use human studies and will provide flexibility for adjusting the dosing in AD if needed or its potential use in other indications. Actinogen is currently developing Xanamem as a cognitive enhancer and the primary focus is to establish its effects on cognition. The general consensus in AD is that so-called disease modifying therapy (DMT) would represent a breakthrough. However, since there are no such drugs and development of MDT's has been spectacularly unsuccessful, a clear definition of what constitutes DMT and how it differs from symptomatic therapy is also lacking (J Cummings and N Fox, 2017). According to the EMEA guidance document 2018, ‘symptomatic improvement is defined as a treatment effect that does not change the overall course of the disease’, whereas ‘a disease modifying therapy is one which delays the underlying pathological or pathophysiological disease processes’, which would correlate with ‘a significant effect on adequately validated biomarkers’. The choice of biomarker as well as the type of analysis is left open. 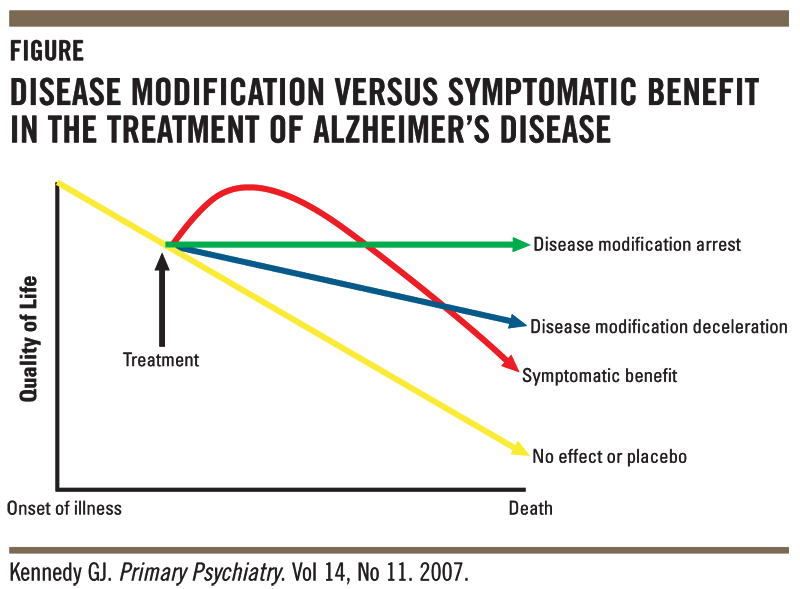 Disease modification can be understood as different outcomes that range from cure to slowing of the natural course of the disease and increasing patient survival. This concept is shown in Exhibit 4. The existing understanding of excess cortisol theory and Xanamem data does not exclude any of these scenarios, therefore the upcoming results from the XanADu trial (by end-Q219) will substantially shape the future development of the drug. Four pharmacologic treatments have been approved and are established in clinical practice that can moderately improve symptoms of AD, however, these do not slow its progression nor improve patient survival. These are acetylcholinesterase inhibitors (AChEIs): donepezil, rivastigmine and galantamine; and the NMDA receptor antagonist memantine (Exhibit 5). AChEIs are the standard first-line therapy and the only approved drugs for mild AD. Memantine is approved for moderate to severe AD, but is used off-label in mild disease as well, usually added to ongoing therapy with AChEIs. Preferences between specific treatment options vary widely across geographies. Source: Evaluate Pharma, GlobalData, Edison Investment Research. Note: *Includes sales from Exelon Patch. Memantine was the last branded therapy approved in 2004. Some of the off-patent drugs have been reformulated into extended release (eg Namenda XR) and patch formulations in efforts to protect their market share, but ultimately revenues are being eroded due to generic entry. The current AD market consists of symptomatic therapies and GlobalData estimates the value of the seven major markets (7MM)4 was US$2.9bn in 2018. According to GlobalData, the US and Japan are the largest markets currently (US$1.3bn and US$1.2bn respectively in 2018), whereas EU5 is relatively smaller (US$445m in 2018). In our view, high sales in Japan reflect a relatively high proportion of Japanese that are older than 60 years. With regards to market size, currently the trend of ageing populations and the increasing prevalence of AD is mostly offset by the increasing use of lower-priced generics, as branded drug protection expires. However, due to a high unmet need and the vast patient population, any new, effective drug could disrupt the market. In our view, any new disease-modifying drug would have a realistic potential to reach annual peak sales that are a multiple of the current combined sales of all generic AD drugs. Even an effective symptomatic new branded drug, which adds benefit to the current standard of care, could reach blockbuster status or meaningful sales, as was the case with all four existing AD drugs. The average cost of a generic standard treatment per patient per year in the US is approximately US$1,200 vs US$4,500 (GlobalData) for a branded version, which represents a 72% average discount even though patent protection for the drug has expired. The average for EU5 is US$300 generic vs US$530 branded, and for Japan it is US$170 generic vs US$560 branded (GlobalData). The potential pricing of Xanamem will substantially depend on what benefit the drug will add to the standard of care. In December 2018, Eli Lilly partnered with AC Immune for its pre-clinical stage tau aggregation inhibitors for the treatment of AD and other neurodegenerative disorders. The deal includes an upfront payment to AC Immune of CHF80m, near-term milestones of CHF60m and potential additional milestones and royalties reaching CHF1.7bn. In November 2018, Sanofi licensed Phase I asset DNL747 from Denali for development in Alzheimer’s, amyotrophic lateral sclerosis and multiple sclerosis, for an upfront payment of US$125m and total deal value of US$1.125bn. In February 2018, AbbVie partnered with Voyager Therapeutics for tau antibodies for AD and other neurodegenerative diseases. The deal includes an upfront payment to Voyager of US$69m, a potential further US$155m in near-term payments and up to US$895m in further milestone and royalty payments. In January 2018, Takeda partnered with Denali Therapeutics for its candidates for neurodegenerative diseases including AD. The deal included an upfront payment to Denali of $150m (cash and equity), plus potential milestone payments of $90m. Actinogen is currently developing Xanamem as a cognitive enhancer for mild AD. Mild AD represents the largest AD subgroup to target. If MCI is taken into account, then the distribution of diagnosed and treated patients is shown in Exhibit 7 (GlobalData). Approximately 31% of all treated MCI and AD patients in the 7MM have mild AD (GlobalData). This represents roughly 1.2m patients, of which the largest number come from the US and Japan. The addressable population of mild AD patients is likely to grow over time due to underlying factors such as ageing populations and improvements in diagnostics. Depending on R&D strategy, expansion into other populations is also possible: moving into earlier stages such as minimal cognitive impairment, or potentially even moderate and severe AD. Actinogen’s patents have been approved in all major markets. The traditional amyloid hypothesis postulates that insoluble Abeta plaques are the key neurotoxic culprit in AD and that drugs targeting these plaques could have a disease modifying effect. Vast resources in the industry have been aimed at intervening in the amyloid cascade to prevent or slow these toxic effects, however, no drugs have been successfully developed. Several hopeful Abeta antibodies still remain in late stage studies, such as aducanumab (Biogen), BAN2401 (Biogen/Eisai/BioArctic), gantenerumab and crenezumab (Roche). We note that Xanamem is the only 11β-HSD1 inhibitor in mid-stage R&D for AD. Although there are multiple other drugs with different mechanisms of action in clinical trials in various stages, these technologies are not necessarily direct competitors. Theoretically, Xanamem could be used in combination with many of those therapies, for example with amyloid beta drugs or cognitive enhancers that are in development. Biogen tested Aducanumab in a Phase I trial and the results showed a dose-dependent reduction of the amyloid load (measured by PET), which was associated with a significant cognitive benefit in the MMSE and CDR-SOB test. Although this was an early study, the results were sufficiently impressive for Biogen to move directly into a Phase III trial in 2015 (results expected in 2020). One of the more notable recent developments in the Abeta antibody development arena was Biogen and Eisai’s announcement of the Phase II results in July 2018 with their amyloid antibody BAN2401 (in-licensed from the original developer, BioArctic) in patients with MCI due to AD and mild AD dementia (n=856). Although there were some ‘skeletons in the closet’, overall the data hinted at the potential for disease modifying effect (slowing cognitive impairment accompanied with dose dependent Abeta reduction in the brain). The main issue was a regulator intervention requesting a stop to recruiting APOE4 carriers into the highest dose arm due to side effect fears. This substantially skewed the distribution of APOE4 carriers among the treatment and, even though the headline data seemed positive, the bias raised many questions and it is unlikely that BAN2401 would receive early conditional approval (Eisai has indicated that it is still working on it). The latest announcement from the developing partners is that the drug is moving into Phase III development in Q119. Beta-secretase or BACE has become a popular, more upstream target in the amyloid cascade. BACE is one of the two enzymes that catalyse the production of Abeta (Aβ1-40, Aβ1-42 and Aβ1-38) from amyloid precursor protein, the other being gamma-secretase. BACE therefore acts as an upstream target in the amyloid cascade and inhibition of BACE should prevent the formation of Abeta, as well as its downstream products including Abeta oligomers, aggregates and plaques. According to amyloid hypothesis, this should prevent further AD pathology and the worsening of symptoms. BACE inhibitors were viewed as having great potential and many large pharma players were heavily invested in this strategy. However, 2018 alone saw three BACE inhibitors failing Phase III studies: verubecestat (Merck; large reduction in CSF Abeta, but no cognitive benefit), atabecestat (Janssen; stopped because of liver toxicity) and lanabecestat (Eli Lilly, AstraZeneca; did not pass the futility test). There have been many attempts in the past to develop ‘cognitive enhancers’, mostly neurotransmitter strategies aiming to replicate the results seen with donepezil etc but no notable results have been achieved so far. There are many ongoing clinical trials that use cognitive endpoints, but it is difficult to determine whether these companies are pursuing a similar strategy to Actinogen or aiming to develop as DMT. According to the Cummings et al (2017) review of the 2018 AD development pipeline, one Phase III trial and 21 Phase II trials are investigating symptomatic cognitive enhancers. Exhibit 8 summarizes some of the more interesting cognitive enhancers currently in Phase II stage of development. Most companies in the space are small biotechs. However, Boehringer Ingelheim is developing BI 425809, a glycine transporter inhibitor expected to improve cognition through NMDA receptor antagonism, in a large Phase II study (n=585) with sites in the US, Europe and Japan. The estimated primary completion date is February 2020. Suven Life sciences is developing a serotonin antagonist (5-HT6 receptor antagonist) in moderate AD. This was a popular strategy for cognitive enhancement in AD, with several past attempts. GlobalData found that KOLs were quite optimistic about this strategy (in its 2017 Alzheimer’s report). However, two notable late stage failures in this class were: Axovant’s intepirdine in Phase III MINDSET trial (mild to moderate AD as an add-on to donepezil, n=1,315) which did not meet co-primary endpoints ADAS-Cog and ADCS-ADL, and Lundbeck’s idalopirdine in Phase III. A couple of the 1β-HSD1 inhibitors that did progress into Phase II trials in neurology were AbbVie’s ABT-384 (originally developed at Abbott) and Astellas’ ASP3662. Astellas was developing its compound ASP3662 for AD (Phase I) in addition to neuropathic pain (Phase I), and painful diabetic peripheral neuropathy (Phase II). The Phase II study for painful diabetic peripheral neuropathy was terminated at futility analysis for efficacy and there appears to be no recent update on the other two indications. AbbVie’s ABT-384 did progress into a Phase II study for AD after reporting Phase I safety study results. The Phase II study was conducted in 267 patients with mild to moderate AD and results were published in October 2014. The study was stopped after futility analysis for efficacy found no benefit from baseline to 12 weeks measured by ADAS-Cog. Webster et al (2017) discussed these results and concluded that ABT-384’s main issue was poor blood-brain barrier penetration. It has been shown in preclinical development that Xanamem crosses the blood-brain barrier and achieves adequate CSF concentration levels1. Currently, according to EvaluatePharma, there are several other 11β-HSD1 inhibitors in development, but all are in preclinical stages and target non-CNS indications. Previously, 11β-HSD1 inhibitors have been studied in multiple early-stage clinical trials by large pharma including Amgen, Astellas Pharma, AstraZeneca, Boehringer Ingelheim, Eli Lilly, Novo Nordisk, Pfizer, Roche. These studies have mainly targeted diabetes, obesity and various metabolic syndrome indications. However, none of the programmes appear to have advanced further than Phase II and there are no approved 11β-HSD1 inhibitors on the market. We believe that historically such direction for 11β-HSD1 was chosen mainly because of a very well-known connection between glucocorticoid overproduction (Cushing’s syndrome) and wide-ranging symptoms that are hallmarks of the metabolic syndrome: obesity, dyslipidaemia, hypertension, insulin resistance leading to type 2 diabetes and others. Additionally, unlike Xanamem, none of the 11B-HSD1 inhibitors were designed to cross the blood-brain-barrier and penetrate the brain. For these reasons and the fact that the understanding of the effect of excess cortisol on cognition is still only now entering mainstream knowledge, we believe that HSD1 inhibition in neurodegenerative indications has been overlooked. The main sensitivities are around the only drug candidate, Xanamem. Although it has shown efficacy in animal models and proved safe in the Phase I and Phase II trials, it remains to be seen whether this will translate into a clinical benefit. The data from the current Phase II XanADu study will shape further development of the drug. Drug development is inherently risky and could fail at any stage. If the XanADu trial results warrant further development, this could include a variety of scenarios from second line to front line, in mild or even prodromal patients, as a symptomatic or disease modifying drug, all dependent of the data obtained from XanADu and the additional Xanamem studies in Q219. Late-stage drug development is capital intensive, therefore fresh funds or a partner will be needed. We have assumed a partnership deal in our valuation based on terms of comparable industry deals. However, we have limited visibility on the timing and terms of any future deals, although we believe that positive Phase II data should help attract and secure a partner. Future pricing and market dynamics are hard to predict, hence assessing the commercial opportunity for Xanamem is not straightforward. Our current scenario assumes that Xanamem has a symptomatic effect that is a beneficial addition to standard of care. We therefore assume a premium to the price paid for existing generic AD drugs. This scenario is more conservative to one where Xanamem could be shown to have a disease modifying effect. In such a case, the commercial potential would be much higher in terms of market penetration and achieved pricing. On the other hand, if Xanamem has an effect comparable to existing generic AD drugs, then it would compete directly with these. We value Actinogen at A$195m or A$0.17/share, based on a risk-adjusted NPV analysis, which includes an estimated A$9.9m in cash (no debt) at the end of FY19. The breakdown of our rNPV valuation, which uses a discount rate of 12.5%, is shown in Exhibit 9. Our valuation only includes Xanamem in AD. We currently do not value any other potential indications, but will reconsider it if Actinogen develops other indications. We use a probability of success of 20% for Xanamem to successfully finish the R&D development. Source: Edison Investment Research. Note: Peak sales are rounded to the nearest U$100m. A key element of our valuation is the assumption that Xanamem will show meaningful benefit compared with existing AD drugs. We use a set of assumptions (see below) that would reflect that scenario and calculate peak sales of US$2.0bn. As discussed above, if Xanamem shows disease modifying results, the peak potential would likely be a multiple of our current calculation. If Xanamem’s efficacy was comparable to current generic drugs, sales might still be substantial as AD is a large market. The underlying assumptions in our model are discussed below. We used the seven major markets globally: the US, the top five EU countries and Japan. While the US and Western European markets tend to assess novel drugs in a very similar way, there are regulatory specifics in Japan that often prompt companies to consider a separate R&D step to seek approval in this market. However, Japan is a very important market for AD because it is a wealthy country with one of the oldest populations in the world. In addition, AD is much more prevalent among elderly. These factors combined mean that Japan is a large market for AD drugs and could be the reason why many other Phase III trials in AD include centres in Japan as well as other major markets. Treatment rates of mild AD patients were 72% in the US, 46-66% in top 5 EU and 66% in Japan. This translates into target populations we use in our model: 416k in the US, 257k in top 5 EU and 475k in Japan or approximately 1.2m mild AD patients in total treated. We note that our approach is likely conservative. Published epidemiological studies can vary substantially in different regions. GlobalData acknowledged this fact and indicated that, for example, in the US market it is using the Aging, Demographics and Memory Study (ADAMS) study, whereas other industry representatives are using the 2010 U.S. Census and the Chicago Health and Aging Project (CHAP) study (for example Alz.org), which has much higher prevalence rates (total AD prevalence of 5.7m in the US alone). Brookmeyer et al (2010) discussed the differences between these data sources and came to a conclusion that diagnostic criteria were the main cause for the difference (GlobalData chose ADAMS study so that the diagnostic criteria and prevalence numbers would be comparable globally). Diagnostic rates and treatment rates are even more difficult to estimate, hence we rely on GlobalData’s primary research and use its data. Overall, we view current market size estimates and even existing treatment paradigms in different countries as not limiting Xanamem’s potential. A novel effective AD drug would likely disrupt the status quo. We assume US$6,000 per patient per year in the US (a premium to branded generics currently) and a 50% discount in RoW. We assume Market penetration of 20% with peak sales of US$2.0bn achieved in seven years after, we assume, the launch in 2025. We assume that after the XanADu trial Actinogen proceeds without delay with preparations for the Phase III studies, which will last four to five years (launch in 2025). At the same time the company will be conducting licensing discussions with potential partners. Several scenarios could follow, for example if Actinogen found a partner willing to step in immediately, then a full out-licensing deal could be concluded before the Phase III trial even begins. This is a possibility if the XanADu trial results show a clear potential. 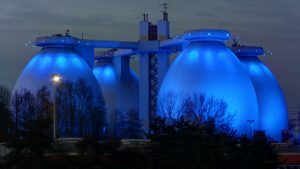 To err on the conservative side, we assume that Actinogen will initiate the Phase III without delay, but the licensing deal will be done in 2021. Until then Actinogen will invest US$20m in the drug’s development (implies a need for further capital). Other development scenarios are possible Phase IIb and then a Phase III. Licensing deals that we view as comparable are listed in Exhibit 10. We use the average values: an upfront payment of US$55m and total milestone payments of US$550m spread across the R&D (one third of the total amount) and commercial phases (two thirds of the total amount). We assume Actinogen will receive tiered royalty rate of 18-20%. Actinogen has a portfolio of patents that includes Xanamem (composition of matter) and its use in AD and other neurological and metabolic diseases associated with chronically raised cortisol. The portfolio covers all major markets including the US, the UK, EU, Japan, China, Canada and Australia and is expected to provide protection to at least 2031. A 5% royalty back to the original inventors would be payable on commercialisation. Actinogen follows local GAAP and the fiscal year starts on 1 July. In its H119 results (end of CY18) the company reported A$80k in revenue and other income, which corresponds to financial income (interest) and a business growth grant (A$20k). The H119 R&D expense of A$6.3m was the most significant cost item and was up from A$3.0m a year ago. This indicates that XanADu is in full swing and approaching completion with final study payments, as well as the cost of initiating nine additional Xanamem studies as indicated in Exhibit 3. Total H119 expenses were A$7.2m, up from A$3.8m, almost exclusively due to the already mentioned higher R&D costs. Actinogen booked A$3.2m in tax rebates in FY18, and Edison expects it to book another A$4m and A$3m in FY19 and FY20. As a result, we forecast an FY19 total loss of A$10.5m, up from an A$6.2m loss in FY18. FY20 and FY21 results will depend substantially on the next steps after the XanADu trial. Actinogen had cash of A$15.5m at the end of fiscal H119 (end of CY18). This is more than sufficient to finish XanADu and all the additional studies initiated in the second half of CY18 and to prepare for the Phase III trial. Additional funding needs will depend on the nature of any potential licensing deal and the scale of the next trials. Our current scenario is described above. Dr Ketelbey has more than 30 years’ experience in the healthcare, biotech and pharmaceutical industries, including senior medical and management roles in the Asia Pacific Region with Pfizer, where he led the local clinical development, and was involved in the commercialisation, of Aricept (donepezil), the market-leading AD therapy. Dr Ketelbey is a medical graduate from the University of the Witwatersrand, South Africa and a Fellow of the Faculty of Pharmaceutical Physicians from the Royal College of Physicians in the United Kingdom. He also has an MBA from Macquarie Graduate School of Management, Australia. Mr Ruffles has 22 years of experience in the pharmaceutical and biotechnology industries, and has worked in the UK, Switzerland and Australia across all phases of the drug development cycle. He has taken several drugs through clinical development and has extensive experience in AD and related therapeutic areas. Mr Ruffles is responsible for providing overall operational oversight of the clinical research and regulatory strategy of XanADu. Ms Miller has over 16 years of international clinical research experience and held senior positions in clinical development, operations, and project management. Ms Miller’s background includes positions within Pharmaceutical and Biotechnology companies as well as for CROs, working across a multitude of therapeutic areas and managing all aspects of the drug development process. As part of the Actinogen team, Tamara oversees and manages the clinical research, CMC, non-clinical, and regulatory operations for Xanamem. Dr Brooke is a clinically trained physician and venture capitalist with over 30 years’ experience in the healthcare investment industry. He was the founder and managing director of two venture capital firms, Medvest Inc and GBS Venture Partners. Dr Brooke’s expertise includes assisting high growth technology-based companies in areas such as development strategy, clinical trial design, fund raising, management structuring and investment exits. Dr George Morstyn has more than 25 years’ experience in the biotechnology industry including as senior vice president of development and chief medical officer at Amgen, where he had overall responsibility globally for drug development in all therapeutic areas. Dr Morstyn is a medical graduate of Monash University, and obtained a PhD at the Walter and Eliza Hall Institute and a FRACP in medical oncology. Professor Ritchie is a world-leading authority on dementia and has been a senior investigator on more than 30 drug trials of both disease-modifying and symptomatic agents for the condition. He is leading the PREVENT project to identify mid-life risks for dementia, and the European Prevention of Alzheimer’s Dementia (EPAD) Consortium, to understand early aspects of AD before dementia develops. Professor Cummings is a world leader in clinical trials and developing new therapies for brain diseases. His significant contribution to AD research has been recognized through the Henderson Award of the American Geriatrics Society (2006), the Research Award of the John Douglas French Alzheimer’s Research Foundation (2008), and the Ronald and Nancy Reagan Research Award of the national Alzheimer’s Association (2008). Professor Masters’ research career in AD and other neurodegenerative diseases spans over 35 years. He is widely acknowledged as a major worldwide influencer on AD research and our understanding of what causes the disease. Professor Masters is a driving force behind the Australian Imaging, Biomarkers and Lifestyle (AIBL) study to determine which biomarkers, cognitive characteristics, and health and lifestyle factors determine subsequent development of AD. Professor Boyd began his 30-year pharmaceutical career with Glaxo Group Research. He has held senior or management roles in many global pharmaceutical companies, including director of clinical and medical affairs, head of medical research, and director of research and development. Professor Walker’s prolific research over 20 years has concerned the role of glucocorticoids in metabolic syndrome and cardiovascular disease. He published the original description of 11β-HSD1’s role in amplifying glucocorticoid action, identifying this enzyme as a prime therapeutic target. He has extensive experience in advising for pharmaceutical research and development. Professor Webster has over 17 years’ experience in drug discovery, translating research across therapeutic areas and disciplines. He has a successful track record in medicines discovery, leading programmes through preclinical discovery, clinical development and licensing. His successes include the discovery and development of Xanamem and other compounds currently in development for acute pancreatitis and multiple organ failure. This report has been commissioned by Actinogen Medical and prepared and issued by Edison, in consideration of a fee payable by Actinogen Medical. Edison Investment Research standard fees are £49,500 pa for the production and broad dissemination of a detailed note (Outlook) following by regular (typically quarterly) update notes. Fees are paid upfront in cash without recourse. Edison may seek additional fees for the provision of roadshows and related IR services for the client but does not get remunerated for any investment banking services. We never take payment in stock, options or warrants for any of our services. Copyright: Copyright 2019 Edison Investment Research Limited (Edison). All rights reserved FTSE International Limited (‘FTSE’) © FTSE 2019. ‘FTSE®’ is a trade mark of the London Stock Exchange Group companies and is used by FTSE International Limited under license. All rights in the FTSE indices and/or FTSE ratings vest in FTSE and/or its licensors. Neither FTSE nor its licensors accept any liability for any errors or omissions in the FTSE indices and/or FTSE ratings or underlying data. No further distribution of FTSE Data is permitted without FTSE’s express written consent. Edison Investment Research Pty Ltd (Edison AU) is the Australian subsidiary of Edison. Edison AU is a Corporate Authorised Representative (1252501) of Myonlineadvisers Pty Ltd who holds an Australian Financial Services Licence (Number: 427484). This research is issued in Australia by Edison AU and any access to it, is intended only for ‘wholesale clients’ within the meaning of the Corporations Act 2001 of Australia. Any advice given by Edison AU is general advice only and does not take into account your personal circumstances, needs or objectives. You should, before acting on this advice, consider the appropriateness of the advice, having regard to your objectives, financial situation and needs. 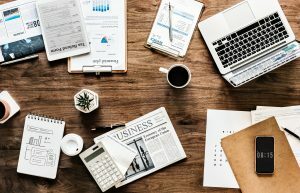 If our advice relates to the acquisition, or possible acquisition, of a particular financial product you should read any relevant Product Disclosure Statement or like instrument. The research in this document is intended for New Zealand resident professional financial advisers or brokers (for use in their roles as financial advisers or brokers) and habitual investors who are ‘wholesale clients’ for the purpose of the Financial Advisers Act 2008 (FAA) (as described in sections 5(c) (1)(a), (b) and (c) of the FAA). This is not a solicitation or inducement to buy, sell, subscribe, or underwrite any securities mentioned or in the topic of this document. For the purpose of the FAA, the content of this report is of a general nature, is intended as a source of general information only and is not intended to constitute a recommendation or opinion in relation to acquiring or disposing (including refraining from acquiring or disposing) of securities. The distribution of this document is not a ‘personalised service’ and, to the extent that it contains any financial advice, is intended only as a ‘class service’ provided by Edison within the meaning of the FAA (i.e. without taking into account the particular financial situation or goals of any person). As such, it should not be relied upon in making an investment decision. Neither this document and associated email (together, the ‘Communication’) constitutes or form part of any offer for sale or subscription of, or solicitation of any offer to buy or subscribe for, any securities, nor shall it or any part of it form the basis of, or be relied on in connection with, any contract or commitment whatsoever. Any decision to purchase shares in the Company in the proposed placing should be made solely on the basis of the information to be contained in the admission document to be published in connection therewith. This Communication is being distributed in the United Kingdom and is directed only at (i) persons having professional experience in matters relating to investments, i.e. investment professionals within the meaning of Article 19(5) of the Financial Services and Markets Act 2000 (Financial Promotion) Order 2005, as amended (the ‘FPO’) (ii) high net-worth companies, unincorporated associations or other bodies within the meaning of Article 49 of the FPO and (iii) persons to whom it is otherwise lawful to distribute it. The investment or investment activity to which this document relates is available only to such persons. It is not intended that this document be distributed or passed on, directly or indirectly, to any other class of persons and in any event and under no circumstances should persons of any other description rely on or act upon the contents of this document (nor will such persons be able to purchase shares in the placing). The Investment Research is a publication distributed in the United States by Edison Investment Research, Inc. Edison Investment Research, Inc. is registered as an investment adviser with the Securities and Exchange Commission. Edison relies upon the ‘publishers' exclusion’ from the definition of investment adviser under Section 202(a) (11) of the Investment Advisers Act of 1940 and corresponding state securities laws. This report is a bona fide publication of general and regular circulation offering impersonal investment-related advice, not tailored to a specific investment portfolio or the needs of current and/or prospective subscribers. As such, Edison does not offer or provide personal advice and the research provided is for informational purposes only. No mention of a particular security in this report constitutes a recommendation to buy, sell or hold that or any security, or that any particular security, portfolio of securities, transaction or investment strategy is suitable for any specific person.